1) Alleged Bharatiya Janata Party (BJP) activists tore down two statues of Russian Communist Revolutionary icon Vladimir Ilyich Ulyanov (aka Lenin) in Belonia, and Sabroom, in Tripura, after BJP won the State elections in Tripura. 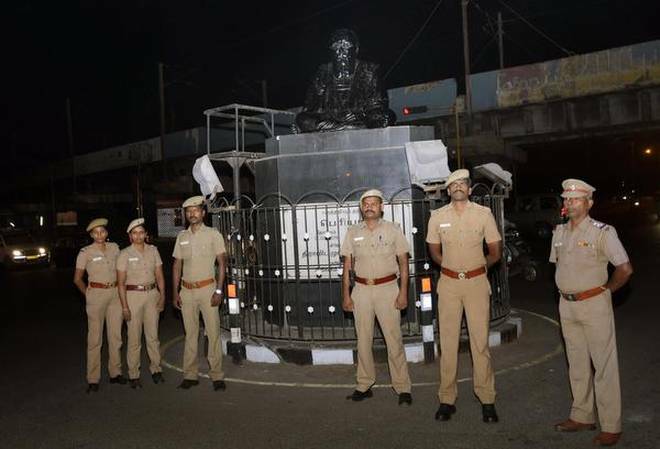 2) A statue of Dravidar Kazhagam founder and social reformer Periyar E.V. Ramasamy near a taluk office in Tiruppattur was vandalized on Tuesday (06/03/2018) evening. The vandalism followed BJP national secretary H. Raja’s post on Facebook, advocating the removal of Periyar’s statues. 3) On Wednesday (07/03/2018) morning, four unidentified persons hurled petrol bombs at the BJP office in Coimbatore. 4) A statue of B R Ambedkar was damaged by unidentified people in Uttar Pradesh’s Mawana on Tuesday (07/03/2018). 4) On Wednesday (07/03/2018) a statue of Sangh ideologue Syama Prasad Mookerjee was damaged in Kolkata. The Kolkata police arrested seven people for the alleged vandalism. 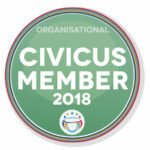 Atleast 5 of the 7 are believed to be members of the Left Party. 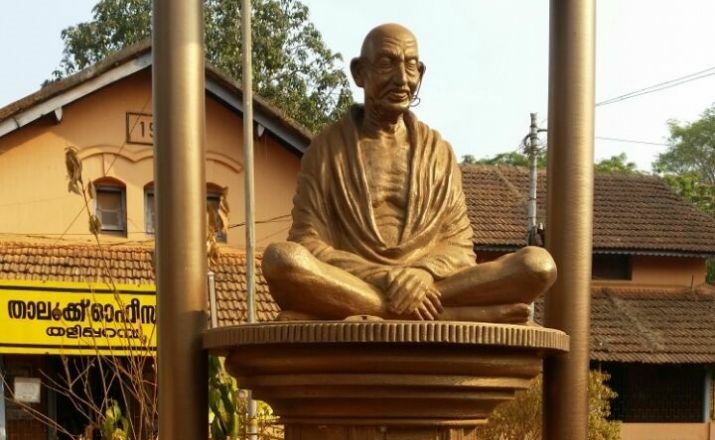 6) A statue of Mahatma Gandhi was vandalized by miscreants in Kerala’s Kannur on Thursday (08/03/2018). 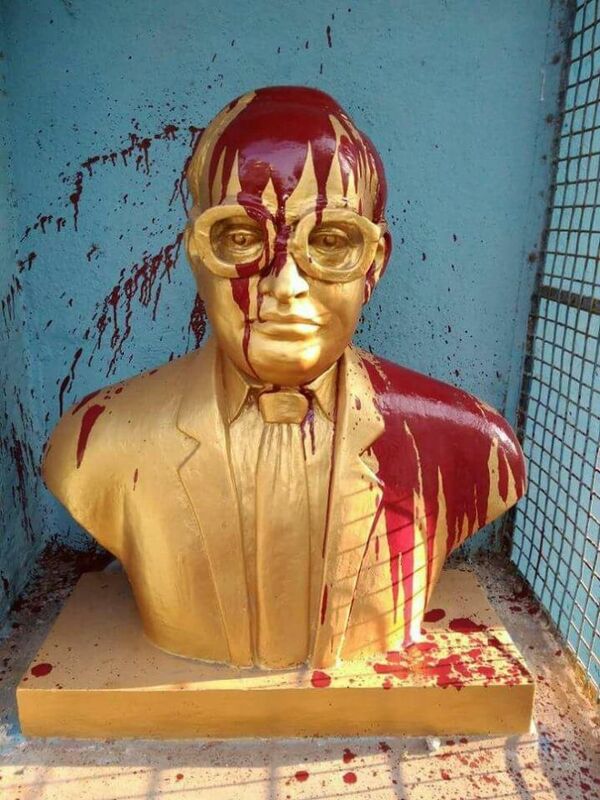 7) On the 17th of March, the Jawaharlal Nehru’s statue defaced in West Bengal’s Burdwan. #TelanganaElections2018: The Curious Case of Missing Names, Missing Voter Cards, and a Missing Booth.